Welcome to a rather later than usual Friday update. A rather unfortunate collection of unrelated events meant I did not have an opportunity to sit and write this until half past eight on Saturday evening. But my tardiness allowed the volcano gods some extra time to put on a show and they obliged with increased activity at Sakurajima and renewed activity at Zhupanovsky, but we’ll get to those later. Map showing the areas of operation of the various VAAC bodies. Continuing the recent trend, London, Toulouse, Anchorage, Montreal and Wellington all have no reports in their respective VAAC areas of operation. A quieter time this week from Mexico’s Colima with only 1 report from the Washington VAAC on the 24th, reporting ash visible on satellite observations around 13000 feet. Another volcano that has had a quiet period is Guatemala’s Volcano of Fire. Only two events are mentioned from the VAAC and those as emissions on the 22nd to 13000 feet and larger event on the 26th reaching 20000 feet. Our first late entry into the report is El Popo, but it is just a brief mention on Washington VAAC of exhalations 21000 feet. In Ecuador, the local Meteorological Watch Office reports ash to 14000 feet on the 18th and further webcam and satellite images on the 19th suggest ash to 18000 feet. Webcam images from the 18th show Nevado del Ruiz sending ash up to 24000 feet, then we have a quite few days before a renewed burst of activity on the 22nd with MWO reporting ash to 20000 but this is not corroborated by satellite or webcam data. The final report came from the Bogata Control Centre (I assume control centre for the MWO) who reported a possible eruption reaching 20000 feet. A new volcano into our report is Ecuador’s Sangay, a 17000 foot stratovolcano. Local MWO observer reported an emmision of ash to 20000 feet. Finally from Washington we have Santa Maria. reports describe the activity as light or discreet on the 24th and 25th reaching a height of 13000. Today, another report suggests an exhalation to 14000 feet. Switching VAACs we head to the other side of the world and Dukono. This volcano continues its recent activity with a steady emission of ash to 7000 feet from the end of last week, however I have no information from the VAAC of activity over the last couple of days with the last report on the 24th. Sinabung continues the same pattern it has for recent times with daily plumes visible to around 14000 feet. 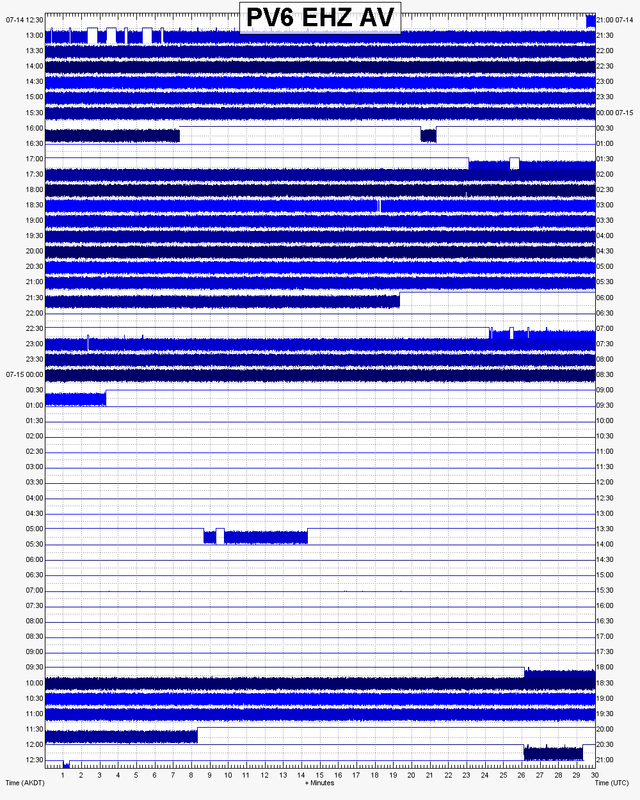 The CVGHM (Center for Volcanology and Geological Hazard Mitigation) reported a “high level eruption” on the 23rd, however even this only reached 18000 feet. Sinabung is another volcano however, that the reports go silent for on the 24th. Bagana returns to the report with 3 days of reported activity form the 23rd to the 25th. Satellite data suggests a steady plume from the volcano reaching 12000 feet. Switching to Tokyo VAAC, Alaid once more appears on our list with satellite data reporting ash to 10000 on the 22nd and 26th of March. During the subsequent discussion (both here and on Facebook), it was reported that the eruption took place in the Minamidake crater instead of the more normal Showa crater. A further burst of activity appears to have taken place today. The VAAC reports an explosion of ash to 12000 feet followed by a “continuous” plume to 13000 feet and a further explosion of material to 10000 feet. Another busy week from the Russian volcano, starting on the 18th, we have reports of ash to 7000 feet and then a quiet couple of days until an eruption on the 20th to 16000 feet. This was followed by another quiet day with nothing reported in the 23rd, but reports of activity for the rest of the week until today with plumes sent to 13000 feet. Recent activity continues on Suwanosejima with explosions reported to send as up to 4000 to 8000 feet from the 21st until the 26th. Starting on the 24th, satellite data reported a “possible eruption”, however this was soon confirmed and the ash continued to emit through the 25th at a similar level. Finally we head to South America and Copahue. The Buenos Aires VAAC reported a “slightly stronger” ash plume on the 22nd up to 12000 feet, before returning to it’s recent state of light ash and steam reports for the rest of the week. This concludes this weeks roundup of the VAAC reports. In contrast to recent weeks, there is a lesser number of images I’ve included in this week’s report. This is mainly because I found there was a lesser number of suitable images in this last week. I will admit however, that all my images I collected on Thursday while I was preparing to write this (before everything blew up and I didn’t get a chance). I just did not have the time to hunt down images of the last couple of days to be included, so hopefully next week I will have some further images of Zhupanovsky and Sakurajima to include. I would love to spend much more time writing this, and I will freely admit this week’s report in particular feels rather rushed to me. But due to the start of British Summer Time overnight, our clocks go forward one hour tonight and I will be up for work at 0530 tomorrow and losing an hours sleep to boot! Next week should see a more normal service with the report properly published in it’s proper Friday slot. Thanks Hobbs! I am looking forward to these reports. Great job again Hobbs! Thanks for the reports! Good stuff, thank you for your efforts. Great work Hobbes, thank you! Thanks for the updates – been a bit of a slow year so far for volcanoes in 2016. But…. Isnt It “volcano season”? Certainly don’t stress yourself Hobbes – you are doing a great job! Seems most ash will go in the ocean, I was worried about King Cove, hope everyone will be OK.
Ashfall map changed, not sure it will affect anyone, it is still dark in Alaska, all I see are stars, bright ones. Sun is coming up and the plume is visible. I saw the fountain earlier. look at the loop if you want to see it. Pavlof’s plume is visible on the FAA webcam (Cold Bay NE). There are some nice images in the loop from the last few hours. Pavlof is still erupting this morning. Ash reported at 37,000 feet and seismicity remains at very high levels. An article about the eruption of Pavlof!